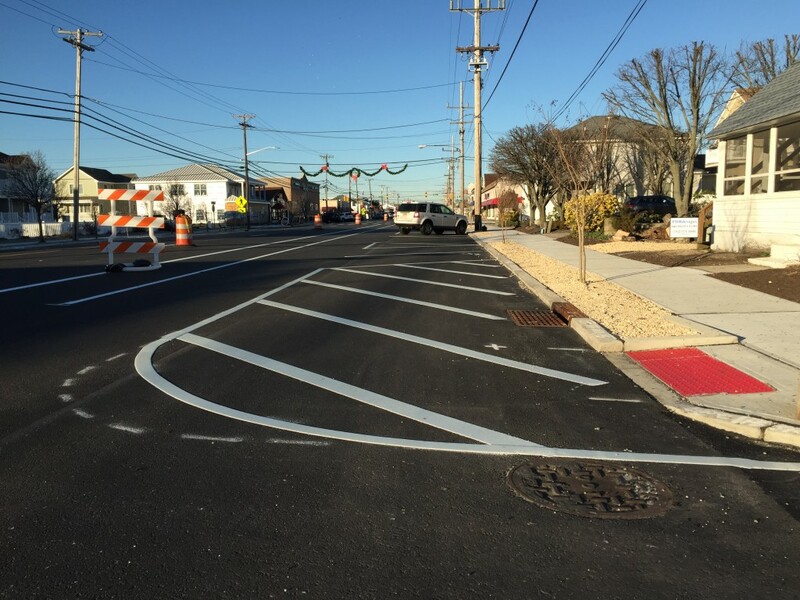 A casualty of the Route 35 reconstruction project, Lavallette officials are continuing their quest to restore 50 parking lost to a morass of red tape, regulations and white paint. Striping of additional parking spaces along Grand Central Avenue, also known as Route 35 north, has been stopped, Mayor Walter LaCicero said this week. “We were promised one parking plan in March of 2015, and that plan was not what was being implemented,” the mayor said. As referenced in the photo that runs along with this story, wide swaths of roadway where parking spaces were once marked are now blocked off with angled lines signaling that parking is not allowed. LaCicero said this week that borough officials have met with their counterparts at the state Department of Transportation to express their concerns, and the striping was shut down shortly after. The borough, he said, has submitted three alternative parking plans to the state. “We can’t afford to lose any parking in the downtown area,” said LaCicero. Striping will continue once a determination is made, he said, remaining hopeful that the loss of spaces can ultimately be minimized.